In May of 2013, Naples City Council approved the purchase of approximately seven acres of land adjacent to the eight acres where the city’s solid waste facilities were located and the five acres of Mangrove forest along the Gordon River. It was also approved by City Council to develop a legacy park on the combined twenty acres of land. The future of Baker Park in Naples is being developed. To feature your Naples, FL business in Naples Marco Living, contact us. 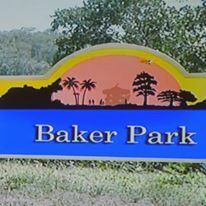 You can help create Baker Park in Naples. To volunteer or support the efforts to bring Baker Park contact the Friends of Baker Park for more information. Friends of Baker Park, Inc. is a 501©3 not for profit created to Raise funds for the development and maintenance of Baker Park, encourage participation and appreciation of outdoor recreation and provide educational programs for all residents and visitors.